Our family lives with two teens on insulin pumps. Like most type 1s they are the primary, day to day, managers of this chronic condition guided by their doctor and nurse educator. Better smarter tools can help, particularly with high risk severe lows. As the FDA considers low glucose suspend (LGS) I urge you to speed the guidance for approval for such devices for teens who self manage. Younger, smaller people are more sensitive to insulin as either basal or bolus injections. As such they tend to vary more than older people. Also teens face hormonal issues as they grow that significantly impact and change insulin needs. Their dosing needs can change as rapidly as a few weeks. With the higher insulin sensitivity and more variable insulin needs due to growth, teens are likely to see a wide variability in blood sugar numbers expressed as A1C. This proposal suggest non inferiority based on glycemic control as quantified by A1C. As you evaluate pediatric / teen use please consider that their glycemic control is a wider range of variability that adults. 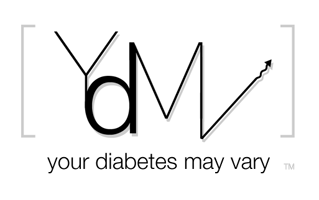 This higher variability means teens may see more and more severe hypos than adults. As a result they are more at risk and are more in need of LGS. Tragically the diabetes community in the US has lost a number of teens to hypoglycemia this past year. Please move to rapidly establish guidance for teen and pediatric approval of low glucose suspend that recognizes both the more pressing need to keep children safe and the higher variability in their A1Cs. Low glucose suspend is already approved and available for patients across the world. As you consider guidelines for it, I urge the FDA to look forward and be proactive. The FDA should developing guidelines NOW for the more advanced artificial pancreas. Beyond that the FDA should be preparing guidance for the approval of faster and smarter insulins, better infusion sets and data processing tools that facilitate better manual and automated glucose management. Thank you, thank you for posting! Spreading the word. Thanks for this, Bennet. Great comments and I appreciate you putting the link out there for the rest of us to use. I'm going to submit one now. Thanks for the links. I sent my email off yesterday. Any interest in sharing your comments?